Yesterday six years ago, Jan 18th 2012, we went to tribunal to try to get Dylan funded ABA therapy at home. Yesterday, Jan 18th 2018, we went to negotiate Dylan a placement at college, back in a fairly standard education framework. The ironic thing being that just as it was painfully difficult all those years ago to successfully ensure Dylan could have an education out of the special education system, here we are six years later having an equally difficult time trying to get him BACK into the very same education system. SEN (or special educational need) education is a different world to typical mainstream education systems, and I don’t just mean the schools. Special schools are the shop front of special education but there’s a whole maze of departments and procedures weaving its way in the background, difficult to infiltrate and even harder to make sense of. 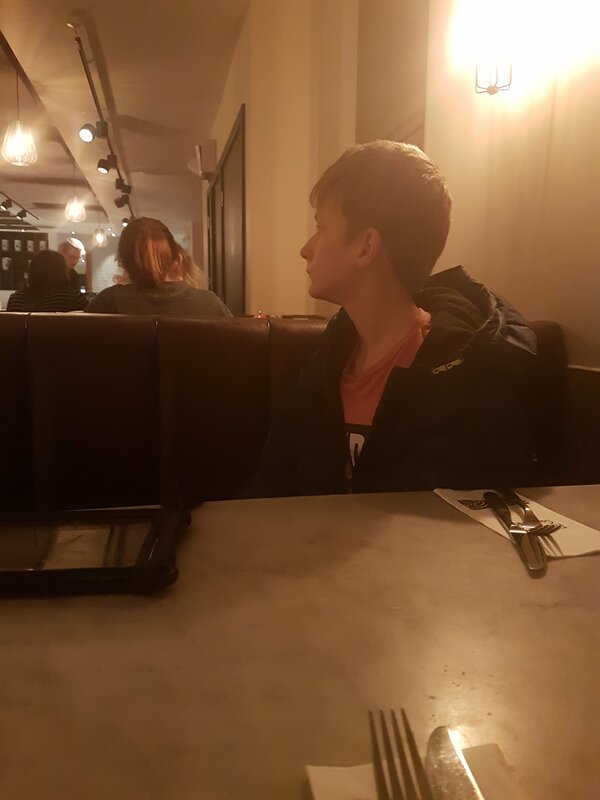 Take our current situation – Dylan has an EHCP, this was set up in August with Home education named as his educational placement on the agreement that once a college placement was found this would be amended. Since then, yes six months ago, the local authority has been exploring and deciding if a placement can be sought for Dylan. We have visited our local college and explored the provision, yes pupils can be accepted as young as 14, yes a part-time placement can be agreed. But no, nothing is ever finalised. Over coming weeks and months emails are sent but no response received, voicemail messages left at departments but no calls returned. Then finally a day or two before Christmas we received news – out of the blue – that transition to full-time college in September could commence. Dylan’s case has been to panel (as a parent I didn’t know this was happening) and funding finally agreed. Next step was to hear from the college directly with how to move forward. Christmas and New Year passed and yesterday we went to visit the college again to get a feel of where we think Dylan might be best suited within the wide, wide scope of provision and needs catered for within the college setting. The visit was informative and bright, finishing up with a talk with the programme leaders about the next step. Well this is where our next couple of obstacles arise, in a very much ‘chicken and egg’ scenario – It is all such a muddle in my head that I’m not sure I can get it down in words but, I’ll give it a go. Now despite the fact we can all agree on these two point above the only people who are able to fulfil the criteria of knowing Dylan well enough to facilitate his smooth transition to college are us, his parents. That is why we were able to write his EHCP, that is why we have successfully taught him for the last 7 years and have him now in a position where he could potentially access another educational placement. We can do this. Now this is where it gets confusion but try to bear with me. The best thing for Dylan is to have someone familiar with him to aid transition, transition being the process of moving from something he knows to something he doesn’t. College has responded to the fact that we don’t have anyone fitting this description apart from us as parents by advising that we go to a care agency or advertise and employ someone. Now without wanting to sound difficult or obstructive, I have a number of issues with this. 1 – The cost of employing someone for a full college day (8.30-4.30 at approx. £15 an hour equates to £120 a day, add-on to that employers NI contributions, holiday pay, sick pay and we are looking at possibly excess of £600 per month. *free in the week when we need them to be to physically attend with him for the full day. So far – no one has met all three criteria. It will be someone new for Dylan, we as parents (already working, home educating and a busy family of three children) will need to find the time and resources to screen and interview carers, employ them, pay for them to spend time getting to know Dylan so that he can then access college and have to prepare for further change in September when he could go full-time. The time this will take will be a waste of the placement that is already there waiting for him, it’s a waste of money to have someone paid to take him to college when Dylan’s Dad is more than able to do so and so far it seems from the lack of response from the local authority it will be us as Dylan’s parents footing the bill for the carer. So what if we don’t do what the college say and employ a random carer? Well then Dylan can’t attend his educational placement of our choice, one that could help him prosper and grow, one that could offer him friends and a change of scenery. Teenagers all need time away from parents and family to allow them space to grow, college could be this for Dylan. Its more than just education, its more than we can offer as parents. He really needs this. The ‘integration’, the ‘We understand special needs’ and ‘I’ve worked in special ed for 12 years’ but when it comes to the crunch, a reasonable adjustment is too much to accommodate unless it’s on their predetermined terms. It’s truly the worst case of discrimination. Discrimination or lack of understanding is hard enough coming from those who are ill educated, simply don’t understand or are naive. However, these people can be educated, they can be shown and are often willing to learn how different things can be for others. The ones you have to watch out for are those who conceal themselves under the cloak of years of training and disability awareness seminars, those who immerse themselves in policy, previous experience and prejudgment. It’s these people who subtly discriminate by losing sight of including the individual because they are so damn self-assured that they know all about the condition they don’t even see the person or their needs anymore. They spend a lot of their time hiding behind voicemail answer-phones and generic email addresses, offering fake support and guidance without any transparency, without giving the full picture, all while withholding knowledge, information, guidance and resources. They’re the ones to watch for. And that is the extent of disability discrimination within our education system; wolves in sheeps clothing. A happy Wednesday night out at Pizza Express with Dylan who once again insisted that he orders chips despite it being made clear that they are ‘polenta’ and NOT his beloved potato.